Solar is breaking into new markets. Over the years, top-ranking wind and solar markets have overlapped in just a few states. Where wind flourished, solar usually hung back, and vice versa. “Each of our technologies has largely had their own playpen,” said Anthony Logan, a North American wind analyst at energy and consulting company Wood Mackenzie Power & Renewables. But now analysts say that’s changing. 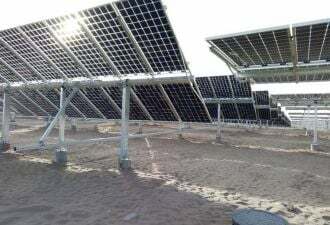 Dirt-cheap solar costs, record-setting growth and movement into new markets, plus the ability for solar to complement wind production, mean the technology is now encroaching on onshore wind’s territory. Solar is poised to grow by the highest percentage of any U.S. generation source in 2020, according to the federal U.S. Energy Information Administration. Wind will be close behind — EIA says it’ll show the largest percentage growth in 2019 and the second in 2020 — but solar prices are dropping enough that the resource is comparable and even cheaper than wind in some formerly wind-oriented markets. The sunset of the federal Production Tax Credit (PTC) for wind, which begins phasing down in 2021, will only increase that edge. 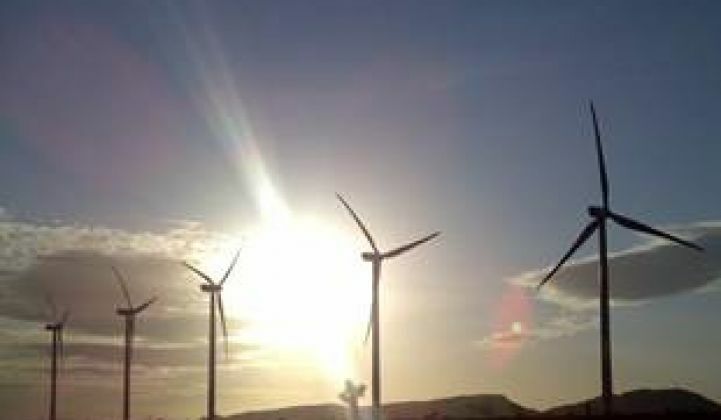 Logan said the trend will be felt first in highly saturated wind markets like West Texas and in areas where wholesale price spikes coincide with peak solar production. In Iowa — which the American Wind Energy Association (AWEA) ranks as the second wind market in the nation by capacity installed — 150-megawatt solar projects will narrowly edge out wind in 2023 on projected levelized cost of energy: $25.36 per megawatt-hour compared to $25.46. In Texas the shift won’t come until 2024, when WoodMac projects $21.13 per megawatt-hour for utility-scale solar and $24.15 for wind. Overall, the U.S. will add between 11 and 12 gigawatts of onshore wind in 2019 and 2022, but those installations drop to between 4.4 and 7.4 gigawatts between 2021 and 2023. Meanwhile, solar will reach or exceed about 14 gigawatts through 2023, according to WoodMac forecasts. Sean Gallagher, vice president of state affairs at the Solar Energy Industries Association (SEIA), affirms that shift. “A number of [SEIA’s] member companies will say to us things like, 'Our operating portfolio is mostly wind; our pipeline is mostly solar,'” he said. Late last month, North Dakota’s Public Service Commission approved the state’s first commercial solar project. At 200 megawatts, it’s over 400 times larger than the state’s entire current installed capacity (0.47 megawatts according to SEIA). AWEA ranks North Dakota tenth in the U.S. for installed wind capacity. While one utility-scale project does not a market make, the project’s developer, Minnesota-based Geronimo Energy, started as a wind developer. It now has over 250 megawatts of solar in operation. That’s because solar can complement wind, producing at different times of day. Too much wind on the grid depresses wholesale prices. And, according to Logan, building wind in a saturated market may cost more than returns from renewable energy credit purchases, the ferderal tax credit or capacity markets. “If you’re one of a bunch of different wind farms out in West Texas spinning your wheels off at 3 a.m. when nobody needs power, yeah, you’re not going to hit that bonanza of income the way a solar project would or a coastal wind farm would,” he said. Geronimo began developing solar in 2013, nine years after its founding. It says its current portfolio of 7 gigawatts is spread across the U.S. and the capacity is made up fairly evenly with wind and solar projects. National Grid acquired the developer in March. In November, offshore wind power-house Ørsted announced it would provide ExxonMobil with 500 megawatts of solar and wind. The European renewable energy company also acquired Chicago-based onshore wind and solar developer Lincoln Clean Energy last summer. And in 2017 the company set up a solar and battery storage development office in Texas. Though Ørsted said wind remains its core business, it recognizes a growing role for solar. “While wind power will remain our central focus, solar will become a larger part of our onshore operations going forward,” said spokesperson Ulrik Frøhlke in an email. Logan said wind shouldn’t be sidelined, though. While solar may be growing, experts said wind will continue to play a key role. There are also relatively untapped markets where the technology can reap the same benefits that solar is now enjoying in wind territory. California, for instance, far outranks any state in solar installations. And though AWEA ranks the state fourth for wind capacity, Logan said the market has room for more. “The most severe places where these technologies are going swap places is where there’s oversaturation of one or the other,” said Logan. Logan said the wind industry is also making “herculean efforts” to speed further cost reductions. U.S. wind installers, for instance, have lagged behind their European counterparts in adopting big turbines. But they’re now looking to larger models.